Synopsis: 1920, rural Ireland. Anglo Irish twins Rachel and Edward share a strange existence in their crumbling family estate. 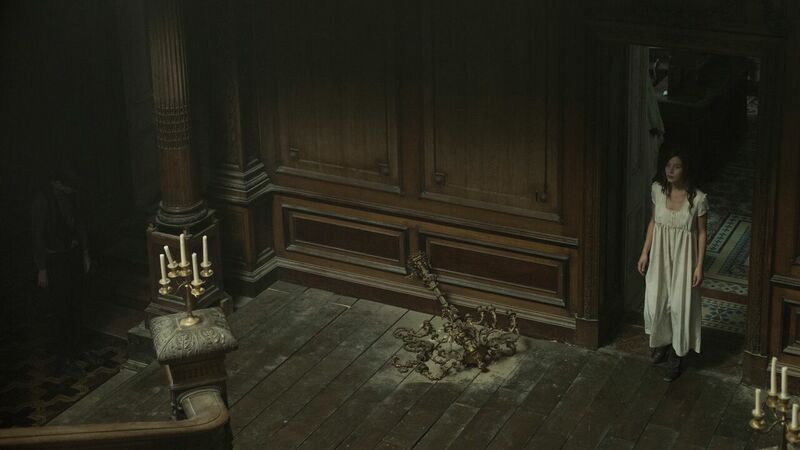 Each midnight, the mansion is haunted by the sinister presence of “The Lodgers,” which enforce three rules upon the twins: they must be in bed by midnight, they may not permit an outsider past the threshold, and they must stay together. When troubled war veteran Sean returns to the nearby village, he is immediately drawn to the mysterious Rachel, who in turn begins to break the rules set out by The Lodgers. The consequences pull Rachel into a deadly confrontation with her brother and with the curse that haunts them. Review: Gothic horror is a hard genre to get right. It can be too angst ridden and fail to engage the viewer, or it thinks it is being gothic by adding some candles and an old mansion. Obviously THE LODGERS director Brian O’Malley knew enough about the genre to painstakingly get it right with look, feel, and overall emersion.